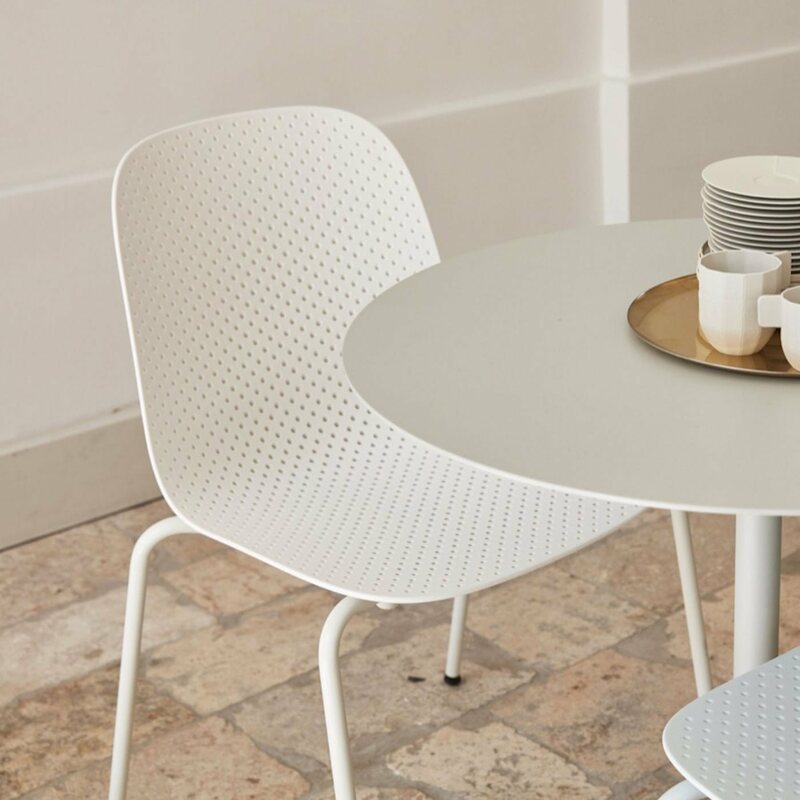 HAY’s 13Eighty chair designed by Dutch designers Scholten & Baijings is aptly named after the number of tiny holes in the moulded polypropylene shell. 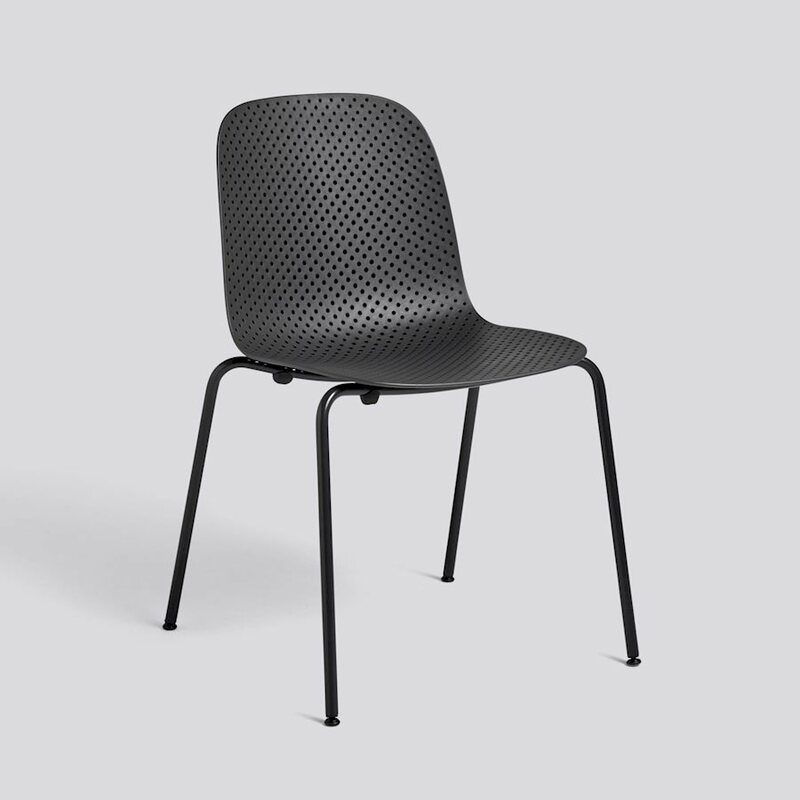 These perforations create a characteristic aesthetic, where transparency and a play of light and shadows add to the chair’s expression, while the variations in the sizes of the holes bring a sense of movement to the visual appearance. 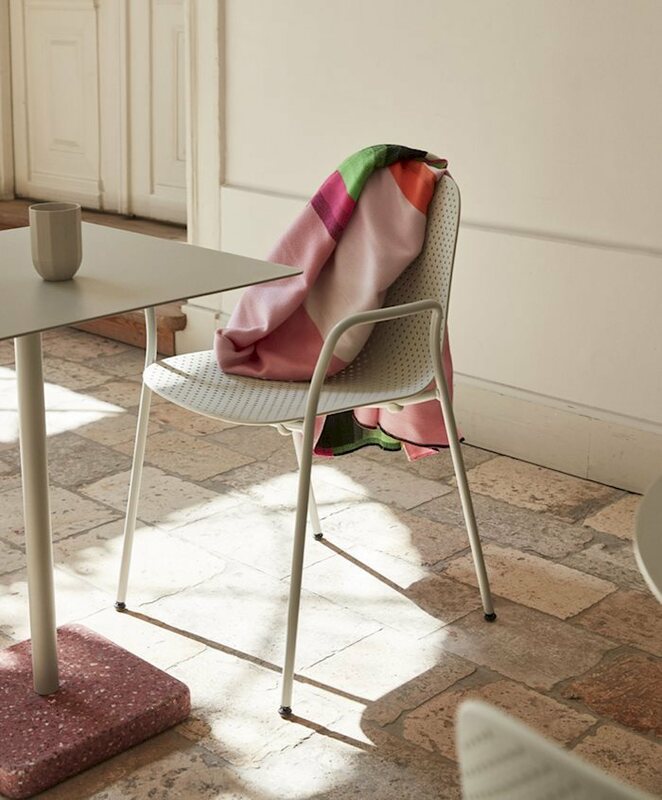 They also have a functional use in draining rainwater off when the chairs are used outdoors. Stacks up to 6 chairs high.